Following a miserable allergy season and a bout with a URI, my ability to smell and taste has finally returned! And, so, happily I resume writing tea reviews, starting with this unusual tea courtesy of Bingley’s Tea Limited. Noting my fondness for Taiwan pouchongs, the proprietor of Bingley’s asked if I’d care to sample a tea from her new Temptress Teas line of premium teas, a green tea developed from the Jin Xuan cultivar. I’ve been sipping a good amount of Jin Xuan pouchong from various sources and it has become quite a favourite, as I noted in a previous review, so I was anxious to try it. And I wasn’t disappointed. For those of you who think you don’t like green tea, do try this one. 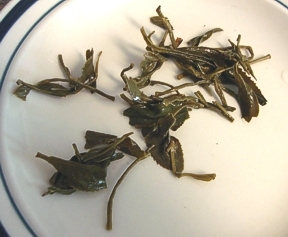 It has none of the grassiness or bitterness that so many complain about in green teas. In fact it is quite smooth and gentle, with the sweet floral taste and aroma that make Jin Xuan pouchong such a pleasant, elegant cup. And if you steep it as a green tea with water at fish-eye temperature (about 180 degrees F) it’s difficult to over-steep, making it easier to fix: I forgot about one steeping and it went almost six (6) minutes before I decanted it. Most green teas turn into a bitter mess if steeped for more than two or three minutes. 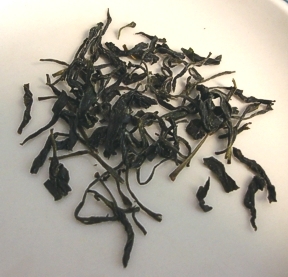 If you’re already a happy green tea drinker, Mei Li Shan is one you may want to add to your repertoire, for the qualities outlined here, plus a lovely nut-like finish. Leaves are long, dark, and wiry. If you measure your tea by volume you’ll need to at least double the quantity you generally use as it is very “airy.” I infused the tea using the Simon’s crumbs method, first in a six-cup English style teapot, then in modified gongfu style (multiple successive infusions blended together into one pitcher), next in a lovely kyusu that my DH brought home for me several years ago from Japan, and finally in a two-cup Chatsford teapot. These last two methods I judged the most successful, perhaps because as the final experiments I got a better feel for the tea. IMNSHO it needs somewhat more leaf than many green teas (beyond the accommodation for the tea’s “airiness”) and a slightly longer steep time. Mostly I kept the water temperature at about fish-eye temperature (bringing the water to a boil, then cooling it for a few moments), and steeped it — except when I forgot about it — for about four minutes. The second steep in the two-cup Chatsford was at a slightly higher string-of-pearls water temperature, as suggested on the Bingley’s site. This intensified the taste qualities, tho’ required a shorter steep time; at just under four minutes it was on the brink of bitterness. As with almost all green teas, the Mei Li Shan is good for multiple steeps: perhaps two if you’re steeping it English style, and about four or five if you’re going gongfu. I was unable to find any information on this tea except that which is provided on the Bingley’s website. If you have any more information, I’d be grateful if you’d share it with me. Whether or not I can learn any more about it, I’m certainly going to continue to enjoy it. Folks often tell me that they would like to drink green tea but don’t care for the taste or for the difficulty in preparing it. I think “dishwater,” “weeds,” and “not worth the effort” are the words most commonly used to describe their past experiences with green teas. 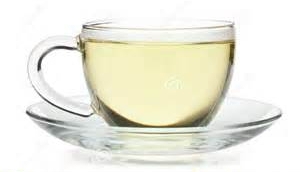 Over the years I’ve identified a couple of green teas that I recommend to these tentative tea lovers, both of which are relatively simple to steep up properly as well as easy to drink. Read the entire post at English Tea Store blog. What’s the Easiest Tea to Prepare? People often tell me that they don’t drink oolong and white teas because these teas are so difficult to prepare. So instead they stick to “easy” teas: black teas. Black teas easy? Are you kiddin’ me? After green teas, black teas are the touchiest and most persnickety of all the teas. Some of them are downright pains in the you-know-what to get right.